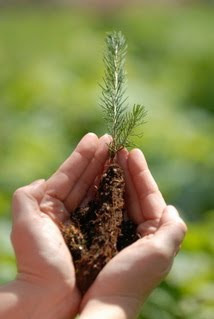 A forest was planted for our customers during 2011! We planted a tree for every kitchen sold last year to replenish and replace the trees we used making wood kitchen cabinets. We would like to extend a hearty "Thanks!" to everyone who particitpated and reassure America that we intend to continue the program to make our carbon footprint as small as possible.